The French Wine Scholar™ program presents each French wine region as an integrated whole by explaining the impact of history, the significance of geological events, the importance of topographical markers and the influence of climatic factors on the wine in the the glass. No topic is discussed in isolation in order to give students a working knowledge of the material at hand. In order to launch French Wine Scholar™ candidates into the wine regions of France from a position of strength, Unit One covers French wine law, grape varieties, viticulture and winemaking in-depth. It merits reading, even by advanced students of wine, as so much has changed-- specifically with regard to wine law and new research on grape origins. In Alsace, the diversity of soil types, grape varieties and wine styles makes for a complicated sensory landscape. Do you know the difference between Klevner and Klevener? The relationship between Pinot Gris, Tokay and Furmint? Can you explain the difference between a Vendanges Tardives and a Sélection de Grains Nobles? This class takes Alsace beyond the basics. The champagne process was an evolutionary one not a revolutionary one. Find out how the method developed from an inexpert and uncontrolled phenomenon to the precise and polished process of today. Learn why Champagne is unique among the world’s sparkling wine producing regions and why it has become the world-class luxury good that it is. In Bourgogne, an ancient and fractured geology delivers wines of distinction and distinctiveness. Learn how soil, topography and climate create enough variability to craft 101 different AOCs within this region’s borders! Discover the history and historic precedent behind such subtle and nuanced fractionalization. Discover the multi-faceted nature of Beaujolais as expressed through its different soil types and vinification techniques. Learn how carbonic maceration and traditional fermentation changes the flavors in the glass. Find out how varying trace elements in the granitic soils of the Crus Beaujolais create wines of different character and age-ability. Beaujolais may be a light-hearted quaff, but the subject is far from simple. The Jura lies tucked between Burgundy and Switzerland and represents the eastern uplift of the Saône graben. Although the wines are rarely found outside the Jura itself, it produces some unique wine products from non-mainstream grape varieties that merit attention. The region is famous for Vin Jaune, but Pasteur, responsible for ground-breaking work in fermentation science and Millardet, responsible for both the “Bordeaux Mixture” and the grafting of French vines onto American rootstock as a solution to phylloxera were born here! But that’s not all! The Arbois zone of production was one of the first to be granted AOC status in 1936. The region is a dynamo! Savoie is an alpine region just south of the Jura. Very little wine is exported; most of the production is consumed by tourists who visit for ski and other winter sport. The wines, however, are as colorful as the grapes that go into them--Jacquère, Altesse, Gringet, Molette, Mondeuse Noire, Persan—and are as fun to study as they are to drink…if you are so lucky. Did you know that the Sauvignon Blanc vineyards of Menetou-Salon, Reuilly, and Quincy are all grown on Kimmeridgean marl? That one of the longest-lived white wines in the world is Savennières? Are you familiar with Breton, Côt and Pineau d’Aunis? It’s time to explore a wine culture as long and wide as the river itself. There are over 5 dozen AOCs that flank the banks of the Loire. Learn about the undiscovered treasures of this region and explore its diversity of grape varieties and wine styles. Study Bordeaux from the ground up. Here, wine styles are predicated by a combination of soil, grape and the hand of man. Explore Bordeaux’s distinctive terroirs in order to better understand the nature of the blend, then discover how and why the blend has changed over the past 150 years. Viticulture was established in Gascony before Bordeaux was planted to the vine. Magdeleine Noire des Charentes, the parent of both Merlot and Malbec is believed to have originated here. The grapes are interesting and high-quality, the wines are good but the region languished in obscurity because Bordeaux blocked the Southwest’s access to the global wine market by controlling trade through its port. Landlocked for centuries, this region is finally and justifiably beginning to make a name for itself. This cluster of growing regions has adopted an “all for one and one for all” face to the wine world. And why not? D’Artagnan, the fourth of the three Muskateers hailed from Gascony and coined the phrase! Although Languedoc and Roussillon were administratively joined in 1972, they are historically, culturally and topographically two distinct regions. Roussillon produces 80% of France’s Vins Doux Naturels crafted from old vine Spanish grape varieties. Yet today, it also crafts many dry blockbuster reds from those same old vines. Languedoc represents a cornucopia of vines that have historically gone into varietally labeled IGP products or simple Vins Sans IG. Today, it re-discovers its terroir and its grape legacy with new AOCs and a collective drive for quality. Together, Languedoc-Roussillon represents the last wine frontier in France. Things have changed here. Keep current! The Rhône River serves as the gravitational axis around which its two halves revolve; the northern half clings tightly, the southern half expands outward and experiences less pull to the riverbanks. These two different wine cultures possess distinctive soils and topographies and they craft vastly disparate wines with unique personalities. It’s one region, but two brave new worlds. Explore them both. Did you know that Provence is the oldest wine region in France? It is also the only region in France and the only region in the world to focus primarily on the production of rosé. In fact, the local vignerons have been perfecting the craft for 2,600 years! Learn all about Provence’s path to pink as well as its stellar production of dry reds and whites. It’s not all sunflowers and lavender in this sun-drenched parcel of France! The island of Corsica has a long and colorful past. Throughout the millennia, it has been ruled by no less than six different nations and each of them have left their mark. However, many of the region’s winemaking traditions and grape varieties are Italian due to the island’s close proximity to that country. Today, Corsica is indeed French with an Italian accent. Discover its rich history… in the glass. Candidates who follow this in-depth curriculum on the wines of France and pass the exam, earn the French Wine Scholar™ (FWS) post-nominal. The exam is given in multiple-choice format. There are 100 questions covering all of the wine regions of France. Passing score is 75. In order to prepare properly for the FWS exam, you must read and study the FWS manual carefully. At first, it may seem a daunting body of knowledge to tackle…but we would like to give you a few tips. Pay close attention to superlatives (biggest, smallest, highest, lowest, newest, oldest, youngest). Note the facts associated with words such as “first” and “last”. They make for good exam questions. Learn the French wine terms and their English equivalents. Pay close attention to the passages citing “exceptions to the rule” throughout the text. They also make for good exam questions. Become conversant in France’s AOCs and the primary grape(s) grown within their confines. If any particular AOC is responsible for the bulk of the production in any given region, you should know all the particulars about it (minimum alcohol, maximum yield, blending formula etc.) But, no, you do not need to know this type of specific detail about lesser AOCs. Know your history and the key individuals who have figured prominently in the development of wine culture of any given region. Study the specifics of wine production for white, rosé, red, sparkling, late-harvest, and vin doux naturel. Know the specifics of carbonic maceration. Know your sparkling wine label nomenclature (especially as it pertains to champagne) and the terms used to qualify the reductive and oxidative aging of vin doux naturel. Study your maps. You need to know where the wine regions and their AOCs are located. The exam is comprehensive. It will cover all the wine regions of France. This means you must study everything…Corsica too! But, the food and wine pairing texts are for your personal edification. There are no exam questions on this material. “The French Wine Scholar is a very serious wine program but fun and very enjoyable to follow. The teaching is superb and the quality of the material brilliant." 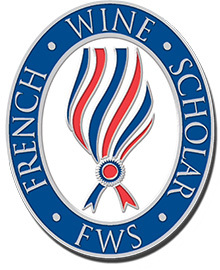 "I am very pleased to have earned the French Wine Scholar designation. After completing my WSET Advanced studies, the FWS curriculum allowed me to increase my knowledge of France and their superb wines"
"The FWS is a great complement to the WSET Diploma and I would recommend other students to take it between the Level 3 and the Diploma.[...] The FWS gave the perfect structure to help me finish my WSET Diploma"
"I feel that the Court of Master Sommeliers and Wine Scholar Guild work hand in hand. I am confident that with the preparation on French theory with FWS it will prepare me for the Court of Masters level 3 and 4"
Matt Coleman, General Manager & Sommelier at Crossings Restaurant in South Passadena. “Education is the cornerstone of wine appreciation. With the French Wine Scholar study and certification program, the French Wine Society provides priceless support to the trade and consumers alike." “The manual is very well laid out with pertinent information that goes beautifully hand-in-hand with the online program. 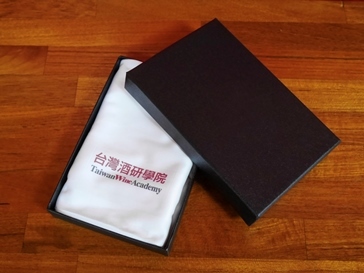 Highly recommended for both newcomers and well-seasoned wine students alike."